The feeling of hot oil being trickled all over your body is like no other. The only comparison I can make is that of a chunk of Galaxy caramel slowly melting in your mouth. Mmm. It is in an ayurveda abhyanga (sorry for throwing these two words at you so soon – I’ll explain in a second) massage that you are smothered in heated oil – and it is what makes the experience so very luxurious and relaxing. Ayurveda is an ancient Indian medical system that believes everyone has a different mind/body constitution, made up of three different types of energies: Vata (air), Kapha (fire) and Pitta (earth), which are determined by your genetics, diet and lifestyle. People who tend to be slim, light, enthusiastic, creative, friendly and energetic generally have a dominant Vata. If people have smooth, oily and warm skin, are intelligent, ambitious, fiery and goal-orientated, they have a strong Pitta. People who have a dominant Kapha are easy-going, calm, truthful, loyal, patient and nurturing. Although each of us has all three forces or “doshas”, most people have one or two that predominate. But as conditions such as diet, weather, lifestyle, stress and emotion change, so does the balance of the doshas. If they become imbalanced, then illness or disease can result in the body and/or mind. The goal of Ayurveda is to identify a person’s ideal state of balance, determine where they are out of balance and offer natural interventions such as meditation, diet, aromatherapy and massage to rebalance the doshas. After arriving at Ayurveda Pura, a treatment centre in North Greenwich owned by award-winning Ayurvedic Doctor Deepa Apte, I was greeted by the soft-spoken entrepreneur herself, as she took time away from her busy training academy to give me a quick one-on-one “dosha” consultation. After quizzing me on my sleeping habits, diet, and illness history, she took a feel of my pulse and a look at my tongue before classifying my basic constitution as majority Kapha-Pitta. She diagnosed an imbalance in my Vata. Symptoms of a Vata imbalance, she explained, can include anxiety, insomnia, dry skin (tick), constipation (tick) and difficulty focusing (tick). She also said something that freaked me out a little: if there was ever to be a problem or disease in my body, it would likely be on the left hand side of my body (time will tell, I suppose!). I bid the soft-spoken Dr Apte farewell before being left in the soothing hands of spa manager Colette. She told me to strip off and put on those weird paper pants, (they were surprisingly comfortable), before she returned to commence my Abhyanga massage. First she slathered my whole body in heated herbal oil (the oil is specific to your dosha imbalance) before beginning the body massage, which involves long, sweeping strokes. It was incredibly relaxing and gentle – whereas sports, deep tissue and Swedish massages are more intense, involving cracking and de-knotting – this is much smoother and you don’t feel any pain the morning after. Your whole body tends to be exposed throughout the treatment rather than under a towel. It was the first time I had my chest and breast bone massaged, too, which I wasn’t expecting. It was one of the most relaxing massages I’ve ever had though, and I’m tempted to sign up for another already. An Abhyanga massage has a host of benefits too: it nourishes the body, increases circulation, calms the nerves, promotes better sleep and gives you softer and smoother skin. You’re absolutely soaking in oil after the treatment – and it feels really nice, strangely – so you take a shower, before being welcomed back to real life with a herbal tea. You feel lighter emerging back into the Ayurveda Pura reception and Café, which serves a host of Indian curries and snacks, and the weight of the world isn’t as large as it was before you entered the treatment room. Bliss. 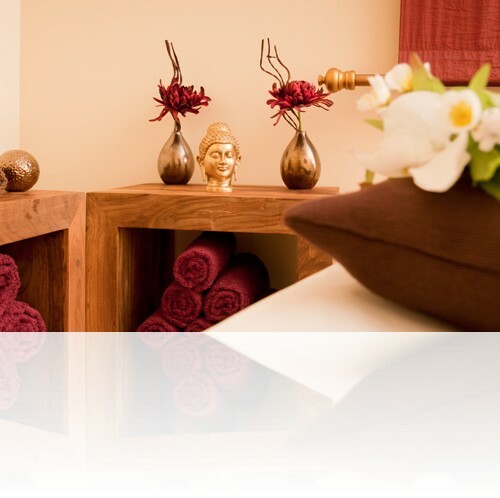 Ayurveda Pura offers a host of ayurveda treatments, products and teas designed by Dr Apte and her team. Find out more at ayurvedapura.com.